Hi everyone! Welcome back to my blog. Today's post will be about this new workout I've been doing to keep things entertaining. Before I show you what I've been doing I just wanted to say I've never taken Yoga in an instructor-to-student setting and I am pretty sure I barely know what I'm doing. I'm just a woman who sees these Pinterest posts and tries to do them at home. I don't know the guiding principle of yoga like this, like if you're supposed to hold these poses for a certain number of breath counts or a certain number of seconds. I use the Gymboss timer to tell me when it's time to change poses, otherwise I could hold all the poses except the 2nd one for minutes. That 2nd pose is hard. I can only hold it for 10 seconds in the first round. 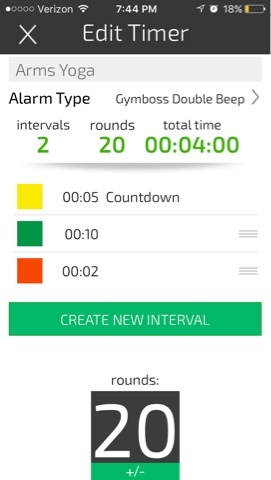 Every round thereafter decreases by 2 seconds. I think I should increase this up to 30 rounds. That will take me up to 6 minutes, so not a bad thing. Since I know so little about yoga, I'd welcome any tips or instructions. That's it for this post. Have a great day y'all!